I’ve played all kinds of games through the years. I’ve accepted it as my fate. I’ve acted as if it were not there. I’ve tried to balance it out with accomplishments, neurotically publishing four books before the age of 30. I’ve visualized myself in a prison, a concentration camp, giving the agoraphobic state a realistic figurative structure. I’ve professed self-deprecation, avoiding pain by having no expectations or pretending there was nothing worth aspiring to, but this was too much like throwing out the baby with the bath water. However much any one of these strategies seemed to work, they were more like drugs than anything: it was never very long before I was confronted once again with the same misery and pain. Two unconscious narratives – thankfully debunked now – are worth relating. The first was that of the isolated, undiscovered young genius – that was easy to let go of. The second, a consequence of my Christian upbringing, was the conviction that my suffering must result in some great reward. This kept me going for years, until I discovered this was nothing but waiting for something that doesn’t arrive: a miraculous salvation. Eventually this too was exposed and set aside, until nothing was left to me but writing.But when you practise writing, whether you do it asa survival strategy or a mode of understanding, more complications appear. One lesson I’ve learned is that, while extended agony makes your mind sharp, it does not make you right. Pain exercises your mind to its limits in the attempt to break the deadlock, and I’ve always been aware of leaps of consciousness of this kind. But, relevant as they were for as long as they lasted, they might have further distorted my judgement. To be serious about writing, to become a writer, requires life experience, and if my condition is preventing me from gathering such experience, how can writing ever make up for anything? That is why when I write and I’m always ready to give up defending what I have written. That is why I write and hate, or even feel ashamed of what I have written. But it is also why all my work ultimately revolves around my condition and my fear of madness. My first novel, Wingless (2016), was the story of an agoraphobic college student who, explaining his condition in a series of letters to his former lover, tries to tell her why he thinks their relationship failed. 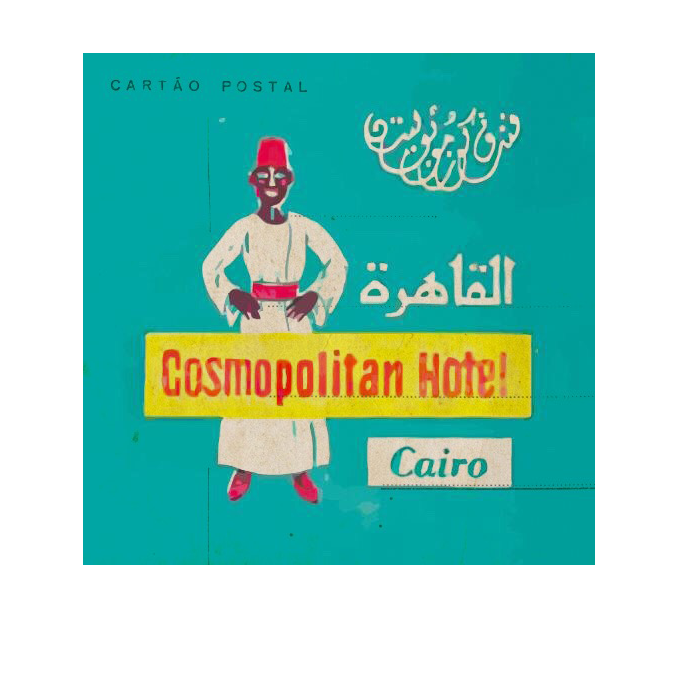 My second, forthcoming novel, City of the Sun, is a satire about two young writers who pursue earthly delights within the confines of Heliopolis by starting a publishing house there, indulging their agoraphobia as much as anything. The flip-side to Wingless, it’s an attempt to use the agoraphobic condition to deal, humorously rather than tragically, with the inexplicable impossibility of fulfilling even simple desires. The last part of the Heliopolis trilogy will be about madness from the perspective of a disaster predetermined by a family history of psychosis and recurring obsessive thoughts. I’ve never experienced major disaster in my life, collective or personal, but I always live with the feeling that I am surviving one. There is nothing lyrical, romantic or glamorous about mental disorder, however much postmodernism suggests there might be. Madness is a clear disaster, a horrendous indignity and an impediment to free will, self-control and the capacity to take life-affirming actions. Listening to Bach, I suddenly have the feeling he understands my pain. Bach’s music has always talked to me in astonishing ways, but this is the first time I perceive it as something that belongs to me, as if I through my suffering I have come to own it. I change my twitter avatar and laptop background to his portraits, one photoshopped with cool shades and the other when he was relatively young. Then I return to writing. At last, after years of wanting to do this, I can look at myself from the outside, assess my existence. I have no interest in turning away to ease my dread and pain. I want to stare into my image and examine it, to confront these shattering thoughts of sorrow. I remember the first time I ever told someone my secret. It was in my early collage years, ten years ago. He was my père spiritual back then, a Jesuit friar. He answered me that it is a good thing because it would prevent me from falling into the trap of intellectual vanity, and bring modesty into my life. I instantaneously felt how disproportionate this price was for the virtue it was buying, and his ignorance of my utter humiliation. In the years after 2011, as I returned to my confinement in Heliopolis, fellow younger writers and “revolutionaries” accused me of being distant, aloof and elitist, suggesting I was divorced from reality and reactionary. Social media hysterics did not help. And so my humiliation, having once been my path to virtue, now became vanity and arrogance. Still, my condition made more understanding of the pain of others, their weaknesses, and more accepting of the their differences and eccentricities. I’d always wondered how others might act if they suffered such a condition as mine, and the answer was given to me when, in the midst of the politically volatile years in Egypt, a state of emergency and a curfew were announced. People simply lost their minds, not grasping how they could not go far from home after a certain hour! There were cries of frustration, boredom and helplessness, and people started exchanging ideas, jokes and hotline numbers to avoid insanity. (I often think of long-term prisoners training cockroaches to do acrobatics). For a while I felt I was no different, only calmer and better informed. In the end my hope is that this prolonged private state of emergency and curfew won’t last, knowing that my real spiritual challenge, the challenge in which the core of my dignity lies, is not to give in to resentment and bitterness.